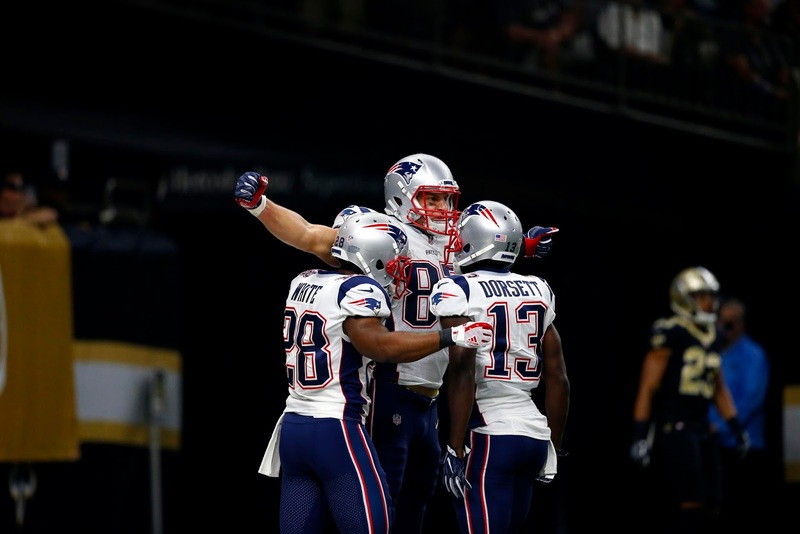 The Pats offense got back on track last week, hanging 36 on the Saints and blowing them out in their home stadium. 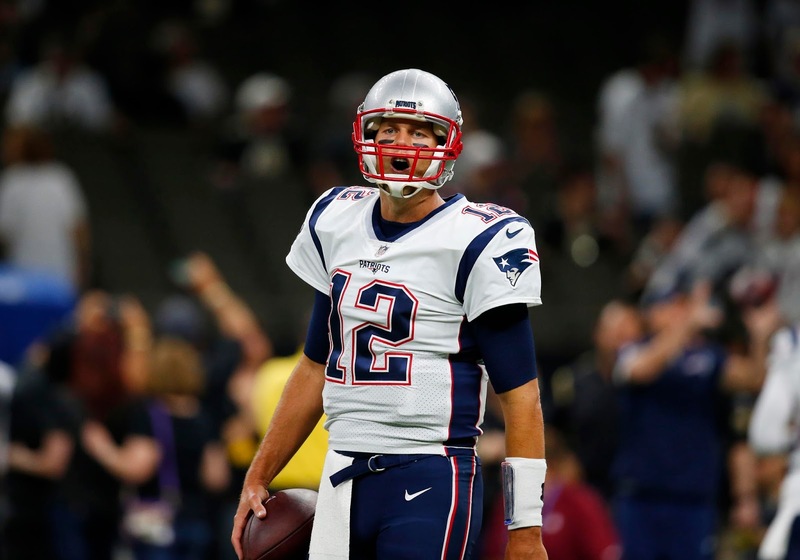 They'll be looking to string together back-to-back outstanding performances this Sunday against the Houston Texans' D.
Tom Brady is usually a must-start, but this might be one week to pump the brakes on the ageless all-pro. 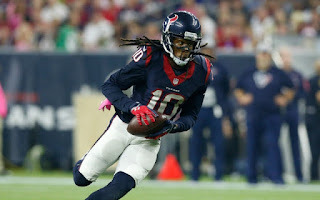 While he's still definitely a viable option, the Texans held him below a 50% completion percentage in the playoffs last year, and Romeo Crennel's defense should come out with a similarly effective gameplan this time around. To be sure, Brady is still a start-him-if-you've-got-him kind of player. And with Houston's top corner, Kevin Johnson, out for the game, he should have some opportunities down the field. He's just going to have to evade JJ Watt, Whitney Mercilus, and Jadeveon Clowney to find them. Temper expectations accordingly. 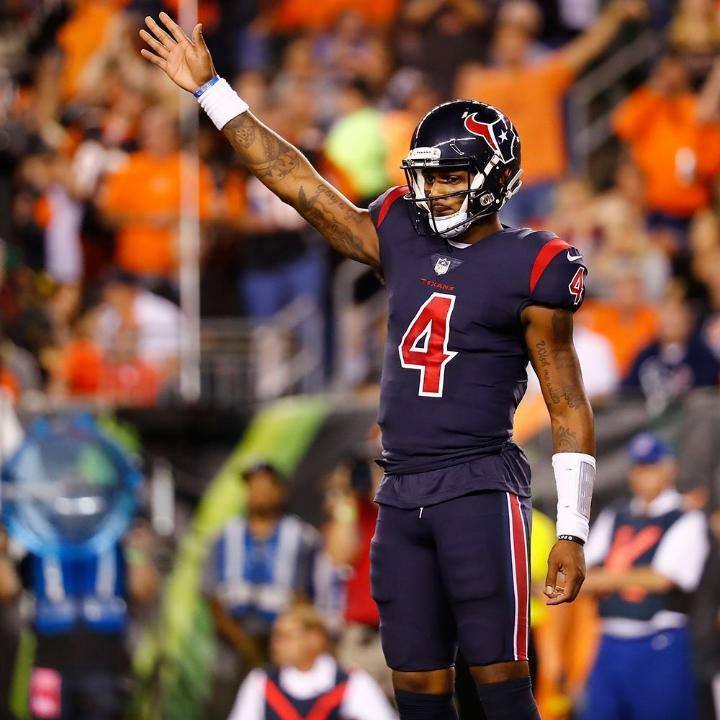 For Houston, DeShaun Watson is not a viable fantasy option at this point in his career. While he's got talent around him, he focuses in too much on Deandre Hopkins, a player the Patriots neutralized last year and will most likely double-cover throughout the game Sunday. Unless you have no other options on your roster and you're in an insanely deep league, Watson should not sniff your starting lineup. 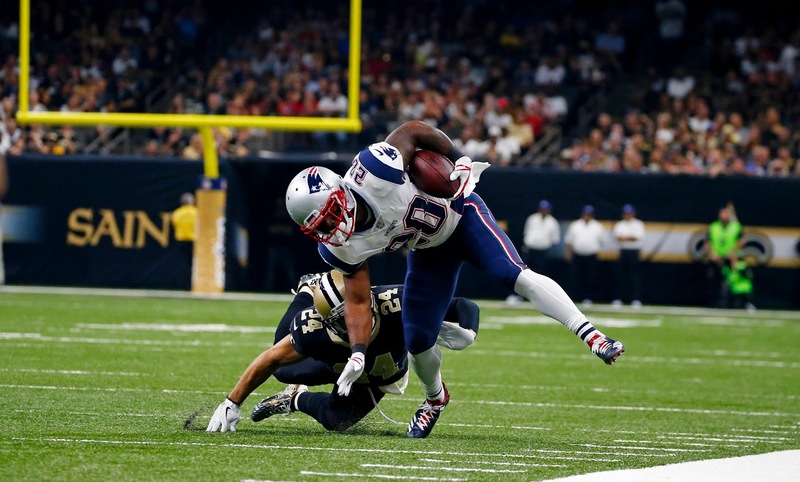 James White was the star of the game last week against New Orleans, hauling in eight passes for 85 yards. To manage the formidable Houston pass rush, expect Tom Brady to get the ball to White a lot on short passes and allow the former Wisconsin Badger to work after the catch. Per usual, his value is boosted in PPR leagues, but he's a solid flex play in standard leagues this week as well. Mike Gillislee is valuable because of his goal-line work and early-down opportunities once again. For the Texans, Lamar Miller has gotten nearly 20 totes in each of the team's first two games but hasn't been able to do much with them. The Pats have historically done well against Miller, and I doubt he'll encounter much more success than usual this time around. The Patriots entered Sunday's game with only three healthy wideouts and left with only one standing: Brandin Cooks. Could this week finally be his breakout after a quiet first two games? We'll have to see, but as long as they're 100% I think Chris Hogan and Phillip Dorsett will siphon targets away from the former Saint, while Danny Amendola will pick up most of the underneath work as usual. Expect Cooks to get a few receptions, but nothing spectacular. For Houston, Deshaun Watson is fond of fellow Clemson alum Deandre Hopkins: so much so that Hopkins has seen over 50% of Watson's targets since he took over. 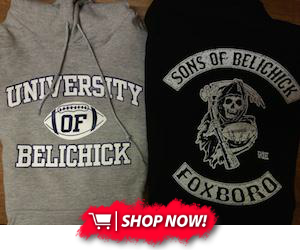 Unfortunately for the rookie, Bill Belichick is notorious for stopping an offense's primary threat at all costs. With Will Fuller injured, the Texans lack any other major receiving threats. Expect Belichick to play aggressive double coverage on Hopkins and dare Watson to throw into it. He may be able to finesse a red-zone TD thanks to his size and strength alone, but unless the Patriots have a completely different plan Hopkins' fantasy value is limited. 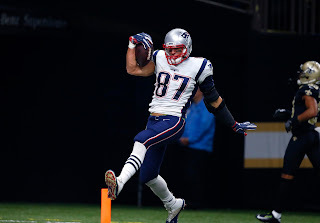 Gronk caught his 69th receiving TD last week. It was nice. But if that wasn't motivation enough for the big tight end, he has the opportunity to catch his 69th TD from Tom Brady this week at home. Simply put, I expect him to run wild and get that milestone. The Texans don't utilize their tight ends much, and with CJ Fiedorowicz out for the year their top tight end is Ryan Griffin. If for some random reason he's on your roster, do NOT make the mistake of starting him. It's not worth it. The Pats defense did a very good job shutting down Drew Brees and a potent New Orleans O last week, only giving up 13 points until a garbage-time TD pulled the Saints to 20. Going up against one of the NFL's worst offenses, expect an even better performance. The Texans D, on the other hand, has the best front seven in the league. They will generate sacks and pressures on Sunday. But going against Tom Brady is never a good proposition for any defense, and without a competent offense to keep them off the field I think Houston will be gassed by the second half. Unless they can completely neutralize Brady early and ensure fantasy relevance by piling up sacks, they probably won't end up startable. A boom-or-bust proposition at its finest. As far as kickers, Steven Gostkowskihas started the year off relatively well (despite doinking an extra-point attempt off the upright last week). Houston's Ka'imi Fairbain should be decent if the Texans can get in field goal range consistently, but that's another risky proposition. He's rosterable in deeper leagues.